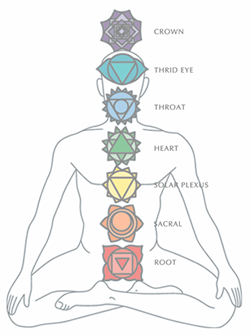 In humans the major Chakras are in a vertical line down centre of body, and in animals a more triangular placement. 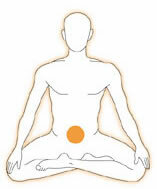 Different traditions describe different numbers of Chakras – some 7, some 8 and even some 12. 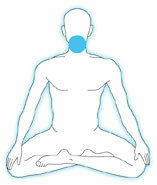 The ones we deal with in Reiki are the 7 main and the minor ones in hands and feet. 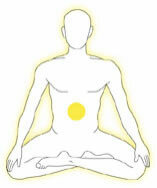 Chakras are energy centres for physical rejuvenation, they are data recording centres. 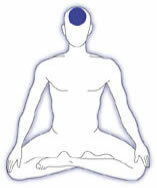 They are the bridge between physical and non-physical, located in etheric body – one layer away from physical body. 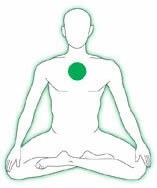 Each Chakra regulates the organs and systems in the area of the body it is near. Click to book a Chakra Balancing session. Gems & Crystals That Work With This Chakra: Cornelian, Garnet, Ruby, Cuprite, Black Tourmaline, Smoky Quartz, Onyx, Agate, Black Obsidian, Hematite, Fire Agate, Ametrine, Blood Stone and Nephrite. Gems & Crystals That Work With This Chakra: Amber, Moonstone, Cornelian, Citrine, Golden Topaz, Golden Beryl, Aragonite, Orange Calcite, Selenite, Zircon and Sunstone. Gems & Crystals That Work With This Chakra: Citrine, Golden Topaz, Green-Yellow Tourmaline, Tigers Eye, Heliodor, Rutilated Quartz, Amber, Sunstone, Malachite, Peridot and Emerald. Gems & Crystals That Work With This Chakra: Rose Quartz, Pink Tourmaline, Rubellite, Rhodochrosite, Emerald, Green Tourmaline, Malachite, Morganite, Kunzite, Green Aventurine, Ruby, Hiddenite, Grossular Garnet, Green Jade, Nephrite, Kunzite, Prehnite, Chrysoprase, Rhodonite, Moldavite, Prasolite, Watermelon Tourmaline and other natural green gems. Gems & Crystals That Work With This Chakra: Apophyllite, Aquamarine, Blue Lace Agate, Blue Topaz, Blue Tourmaline, Celestite, Indicolite, Blue Turquoise, Chrysocolla, Amazonite, Lapis Lazuli, Larimar, Sodalite, Iolite, Kyanite and Zircon. Gems & Crystals That Work With This Chakra: Azurite, Sugilite, Amethyst, Celestite, Tanzanite, Blue Tourmaline, Sapphire, Lavender Quartz, Purple Fluorite, Charoite, Sodalite, Lapis and Iolite.